Our walls are made by Walltopia, one of the world's leading and largest manufacturers of artificial climbing walls. To check out the wall specs and details, click here. 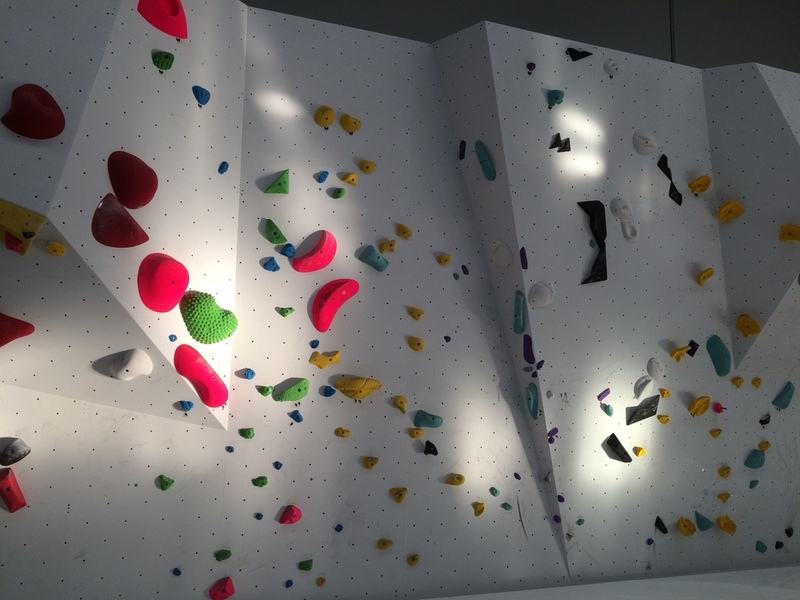 Our climbing walls go to a maximum height of 4.5 metres and vary in angles from slab (leaning forward) to 4.5 metres overhanging with shapes to form varying terrain from corners, aretes, to a massive roof. Our walls are filled with the latest shapes and textures of holds from Europe and USA including Flathold, Teknik, Axis, Squadra, Morpho and XCult. More than thirty XL hold shapes known as 'volumes' are added to the walls. With 48 plywood pyramid modules the wall shapes can be varied endlessly.